it is very smooth to spread and pinhole free to provide the perfect surface for painting. TOPSTOP polyester stopper filler is a two component chemical paste used for the filling of small holes and imperfections in surfaces prior to being over-painted. 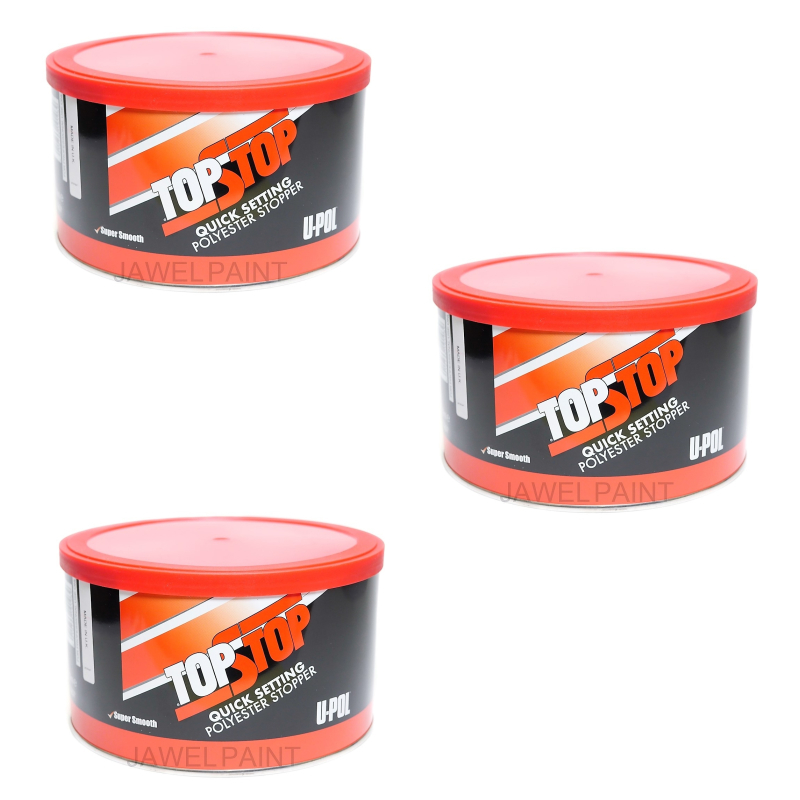 TOPSTOP has been specially formulated for the professional user. It is a very soft, smooth paste and can be easily spread in thin layers to provide the perfect surface for painting. TOPSTOP can be easily sanded wet or dry after only a few minutes. Bare steel – degrease and abrade with P40 paper. Polyester body filler - degrease and abrade with P80 paper. Orginal paint surfaces (with the exception of thermoplastic acrylics) - degrease and abrade with P180 paper.